After every natural disaster or appliance breakdown that causes water damage, it is always a race against time as homeowners and businesses work to rebuild their lives and homes. What you do after the flooding of clean water, is what determines how well you can manage the restoration process. In most cases, more damage occurs without prompt water extraction. It is with that in mind that we advise Los Angeles residents to contact us for a professional water damage control. Many homes and offices that suffer water damage in Los Angeles have some kind of wooden flooring that need special care when drying it. The typical moisture content of flooring materials is about 6% to 12%. After a spillage of significant volume, the moisture levels may rise to 40% or more. Drying the wooden flooring too fast or too slow may damage the wood and cause it to warp, splinter, or shrink. Our SERVPRO technicians are equipped with LGR dehumidifiers that can gradually lower the moisture levels of different materials to their natural levels. SERVPRO technicians use the two main types of dehumidifiers that are designed for indoor use. These are the Low Grain Refrigerant (LGR) Dehumidifiers and Conventional Dehumidifiers that use a chemical desiccant like silica. They use the LGR dehumidifiers to dry materials with less than 55 grains per pound (GPP) moisture. The LGR dehumidifiers are not only heavy duty, but they are also efficient. When the moisture content is about 55 GPP, they use Conventional dehumidifiers. The Conventional dehumidifiers are standalone and will maintain constant humidity for prolonged periods. They use them to restore your premises after large volumes of water have been removed. In cases where there are materials or fabrics in your home whose design limits air circulation, SERVPRO technicians can physically place desiccant gels such as silica gel. It can take as much as 40% of its weight when the humidity is at 100%. These are useful in walk-in closets, pantries, and small confined spaces. SERVPRO of Silver Lake / Echo Park is well equipped and trained to handle all types of water damage. We clean, dry, and sanitize your home to make it safe for your family and friends. Call us at (323) 667-3100 to get immediate assistance. Here are tips for visitors to our fabled city. Water heaters are useful appliances in homes for they provide hot water for various uses. However, these appliances can leak due to condensation, or from a faulty drain valve or water outlet. Poorly maintained heaters could also rust, leading to leakage. If not handled promptly, water damage can occur to your flooring, walls, and contents. You must contend with replacing or fixing the unit, and cleaning up the mess, more challenging if tucked away in the basement or even worse, in the attic. When your Los Angeles home sustains water damage from a leaking water heater, you should hire professionals to dry out the affected areas. SERVPRO technicians can help you to remediate the damage. We start the remediation process by inspecting a home and evaluating the damage. We use detection devices to identify where the water has intruded into the structure. Our technicians can poke the instruments on top of affected surfaces like ceilings, baseboards, and floors to get an accurate reading. Based on the moisture content readings and following IICRC protocols, we can set up the drying equipment to expedite the treatment. If there is standing water, SERVPRO technicians use portable pumps or wet/dry vacuums to remove it. We may simply need a mop and bucket to remove the visible water. We then begin the drying process. Air movement is vital for drying. The damp and humid air in a water-damaged room slows evaporation. A room dries faster when wet air is blown out, and warm, dry air is brought in. We position air movers in a room to create airflow across pads, carpets, walls, and furniture to hasten the evaporation of moisture. We change the location of air movers continually to promote thorough, even drying of surfaces. We also use dehumidifiers to eliminate the moisture retained by building materials to prevent secondary water damage like warping or swelling of flooring, furniture, and walls. After our technicians restore a home, the damage disappears, “Like it never even happened.” Once the restoration process is complete, we remove the drying equipment. If your home has sustained water damage, SERVPRO of Silver Lake / Echo Park can assist you. We offer our services round the clock in Boyle Heights and Echo Park. Call us at (213) 628-2000 to restore your property quickly. When SERVPRO of Silver Lake / Echo Park gets the call to clean up water damage in a Los Angeles home or business, we know it is an overwhelming and stressful time for the property owner. During the initial phone call, our technicians to get detailed information about the water in the property, so we bring the equipment needed to mitigate water loss as much as possible. What Type of Water Loss Does SERVPRO of Silver Lake / Echo Park Handle? There is not one set way that water loss occurs in a property. A slow leak from a pipe may have spent months building up moisture and increasing the likelihood our technicians find mold colonies behind a wall or under flooring. A hot water tank or washing machine can dump tens of gallons of water into the home or business. No matter if it is a problem that has just been discovered or sudden water spill in the home or business, SERVPRO has the equipment and expertise to locate and mitigate water loss for both structures and contents. The longer the structure and possessions have been exposed to water, the more potential for unrecoverable damage and mold colonies. The less time the moisture has had to reside in building materials and objects, the more change for saving through restoration efforts. Our goal is always to restore and not replace. SERVPRO of Silver Lake / Echo Park technicians arrive on-site within hours after your initial phone call. While one or more technicians get to work to extract any standing water from the Los Angeles property, other technicians locate precisely the size and scope of the water damage using moisture meters, digital probes on soft objects such as carpeting and thermal imagery when needed. The obvious visible signs of soaking and seepage can be grappled with immediately. Once the areas of moisture have been identified, a plan for proper drying of the structure and contents is formulated. The setup for drying the property sometimes takes longer than the actual drying process. Our technicians are IICRC certified in the science of psychometry, or the study of air and moisture and know that airflow is crucial to parts of the home or business retaining moisture. Weep holes may be drilled to facilitate air circulation and drywall that has been too saturation and beyond recovery may be cut away. Baseboards are also sometimes removed to allow for forced air to vent behind walls and into the cavities. SERVPRO technicians have the goal of disrupting the home or business as little as possible during remediation. When appropriate, we put furnishings up on blocks and wrap the legs. Whenever we cannot dry items on-site or they require proprietary methods for restoration that cannot be performed at the location, we can pack up and move objects to our facility with the property owner's and adjuster's permission. All such transported contents are boxed and cataloged, often with scanning. Fast extraction of water and removal of residual moisture under the flooring is essential for avoiding loss of adhesion in tile flooring and secondary issues such as mold. Carpet can pose a problem because the padding is very absorbent and can pull water into other areas under the carpeting resulting in the possibility of foul odors and mold if not adequately dried. Our technicians carefully map the moisture readings on the floor and subfloor to determine precisely where the moisture levels rise and where they fall, so no damaged areas are missed. While our technicians do not make decisions regarding removal of flooring such as an adhesive-based vinyl tile floor that has been saturated for too long to save through restoration, we communicate with the property owner and adjuster with restoration probabilities and remove items that cannot be restored with permission. Porous flooring materials such as concrete and wood have special needs for cleanup. 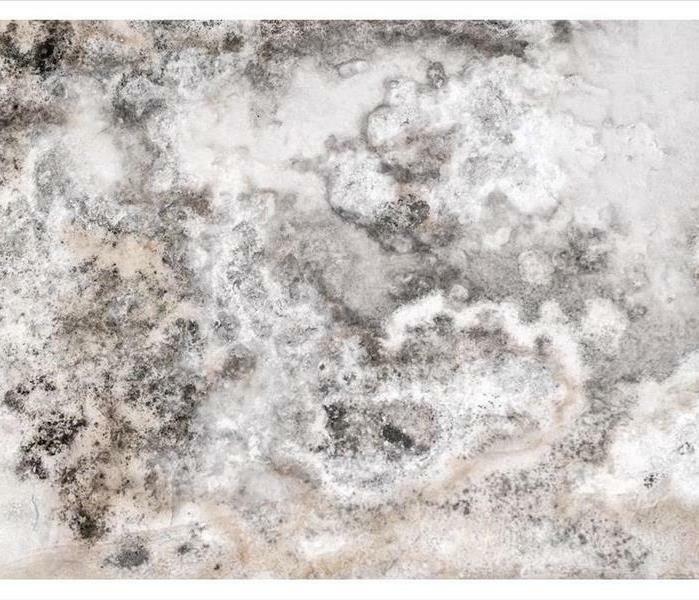 Our technicians dry concrete thoroughly and use an EPA-registered disinfectant to inhibit the growth of mold. These pads absorb water slowly and this same water must be slowly drawn out to prevent degradation of the concrete. Wood flooring is handled on a case by case basis. The type of wood flooring determines the outcome in many water loss situations. Boards made from composite or engineered wood tend to lose their structural integrity when saturated and chances of a complete restoration are low. Solid hardwood boards do absorb water, but since they are solid wood, our technicians have the expertise and specialized equipment to dry them if the process starts quickly enough after the initial water introduction. A known reason for employing SERVPRO as your water restoration company is our ability to salvage hardwood planks and save our clients a lot of money. Again, we strive to restore, and not to replace. Once the setup for drying is completed, SERVPRO of Silver Lake / Echo Park water damage technicians again measure moisture in the area and determine drying goals. There is always some residual humidity in the air, and it is never zero percent indoors. Normal interior RH levels are from 55-65%. Our technicians use a scale for optimum levels based on the readings for unaffected areas of the property, so normal moisture levels are achieved through drying. Final results are documented to assist our customers with their insurance claims. Many agencies work with SERVPRO of Silver Lake / Echo Park in the Los Angeles area because of the close cooperation from the initial visit to final walk-through. We can maintain budgetary guidelines set up by the carrier. Powerful air movers and dehumidifiers are used as the centerpiece of the drying process causing water vapor to rise and be captured. This cycle repeats over and over removing moisture from the area. 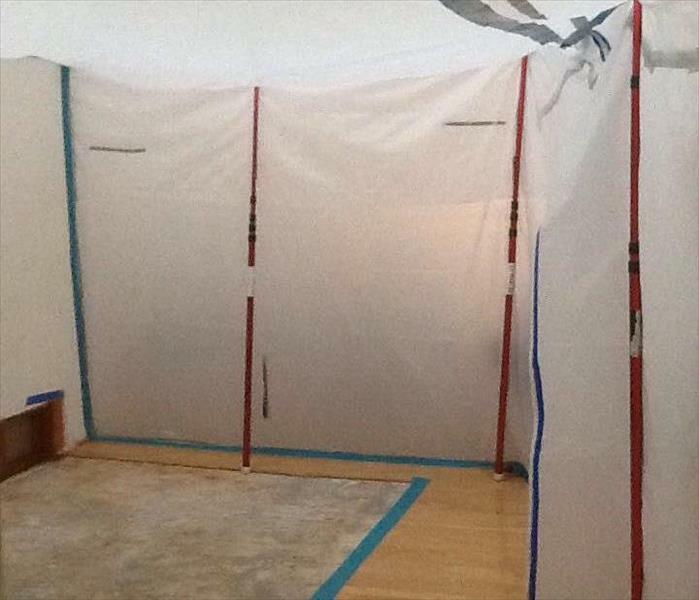 The unique configurations for forced air behind walls, into ceilings or tenting over hardwood floors is performed at the same time for complete removal of water vapor. Moisture detection is used during and after drying to determine if drying goals are met. Once they are, our technicians work on hand cleaning the area using fast evaporating antifungal and antibacterial cleaners to inhibit the growth of mold and mildew. Our odor control technicians have multiple methods to remove any residual odors left behind by the water damage. Once our emergency response teams have completed the restoration efforts, the property owner and adjuster are walked through and shown all aspects of our work to ensure complete satisfaction. "Like it never even happened." SERVPRO of Silver Lake / Echo Park is proud to serve Los Angeles, California including areas in and around the 90012, 90026, and 90029 with our emergency response teams to mitigate water damage to both property and furnishings with our knowledge and equipment. We know home disasters never take a holiday and neither do we, call us and our technicians arrive on site within hours after your initial call. What do you do when a pipe bursts in your home? Call SERVPRO. We are ready to restore your water damaged home. When a pipe bursts in your Boyle Heights home, the resulting water loss incident can be catastrophic without an immediate response from competent and skilled professionals. While you might work to get the supply of the water shut down quickly, the spread of this high volume of water can be too much for you to resolve on your own. Our professionals have a 24/7 response to water loss emergencies, bringing the full measure of extraction and drying equipment to protect your property from unnecessary damages. While there are many steps to recover damages from a burst pipe in your Boyle Heights home, water removal is where restoration must begin. Removing the standing water in areas of your house can help to reduce further absorption and saturation of construction materials and structural elements. Our SERVPRO professionals have a wide range of extraction equipment that we can begin using immediately when we first arrive at your damaged home. Our first step upon arrival is the assessment of the severity of this pooling water to determine which of these machines is necessary. We have a wide range of extraction tools from truck-mounted pumps down to portable sump pumps and extraction wands. Our technicians work to remove the excess water as promptly as possible so that we can get drying started immediately. The faster that drying can begin in your water-damaged home, the better able we are to prevent widespread tear out and reconstruction. Another phase of our effective mitigation is removing at-risk items from your property to keep them safe from the lingering moisture and damp conditions. Our contents department can offer focused drying, deodorization, and antimicrobial solutions to prevent mold growth. Once drying has proven successful in your home, these items can get returned to their original positions. Effective mitigation can save you time and money on the necessary processes to return your water-damaged home to preloss condition. You can count on our SERVPRO of Silver Lake / Echo Park rapid response team to showcase the full measure of our mitigation equipment and strategies for any emergency that threatens your home by calling (213) 628-2000. For more information on Boyle Heights, click here. Heavy rains can quickly bring large amounts of water into your home. Develop a pre-emptive ERP plan with SERVPRO to help remediate any damage. After years of drought, the Los Angeles area and the rest of the state experienced what meteorologists call “atmospheric rivers.” Over 30 of these Pacific-based storms occurred during the winter of 2016-2017. Many hundreds of miles wide and carrying as much water as the delta of the Mississippi River, these storms cause flash flooding. If you are in their path this year, we can help with the aftermath. Heavy rains directly overhead and in the canyons surrounding Los Angeles spell flood damage for homeowners. It is difficult to do much to avoid the massive runoff other than being aware of its possibility and partnering with our highly qualified team of flood damage remediation experts. Consider working with us ahead of this season’s potential devastation to develop an Emergency Ready Plan (ERP) to minimize the effect of flooding on your home’s structure and contents. An experienced SERVPRO crew member walks through your property looking for areas of your home and foundation that are likely to suffer the most flood damage if heavy rains revisit. The assessment aids you in making commonsense adaptations to ensure that you are as ready as possible for flooding. For example, items stored in areas of your home that are most vulnerable to damage from standing water should be relocated. 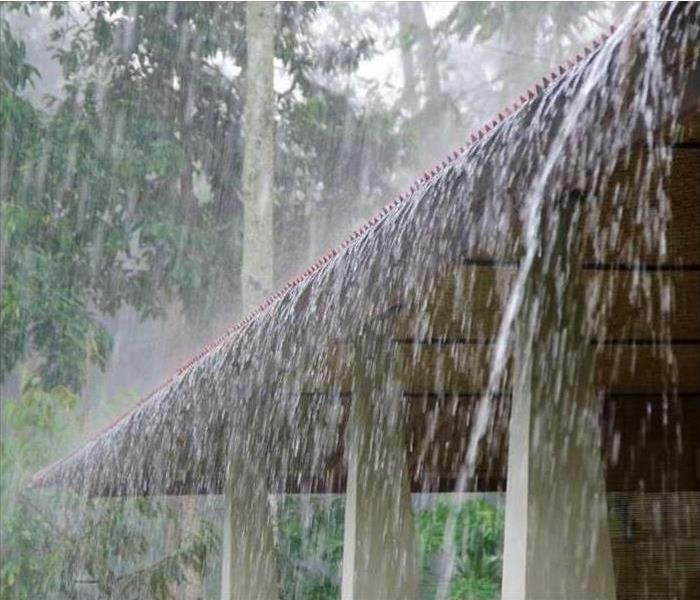 Other suggestions such as clearing gutters and downspouts and making sure that the ground immediately around your foundation slopes away also help limit water incursion during rains and flooding. You fill out an Emergency Ready Profile, so SERVPRO is familiar with your priorities if flooding occurs. Share information about utility shut-offs, the names of contractors familiar with your HVAC and other systems, and nominate trusted family members or friends to act on your behalf in the event you are out of town when a flooding event happens. If your home experiences flood damage because of a future atmospheric river storm system, developing an ERP gives you a firm grasp of what to expect when SERVPRO arrives. Our crews pump out water, extract moisture from porous materials like carpeting, and then use air movers, heat, and powerful commercial-strength dehumidifiers to reduce ambient humidity and pull residual water out of flooring, wallboard, and other structures, fixtures, and decor in your home. Throughout the process, we measure and monitor moisture levels and search for pockets of hidden water with sophisticated technology. Our team members have professional training and experience second to none in the flood damage industry. Reach out to SERVPRO of Silver Lake / Echo Park to develop an Emergency Ready Plan and Profile that helps us assist you with potential flooding and other issues. Our phones at (323) 255-1000 are answered day or night. The main concern regarding water removal in your Boyle Heights pizzeria is the effect that it would have on your ability to serve customers. You might have some competition as a pizzeria in Boyle Heights, between the numerous franchises and small business owners pushing their take on the traditional Italian dish, you cannot afford even a minor incident that could threaten your production. 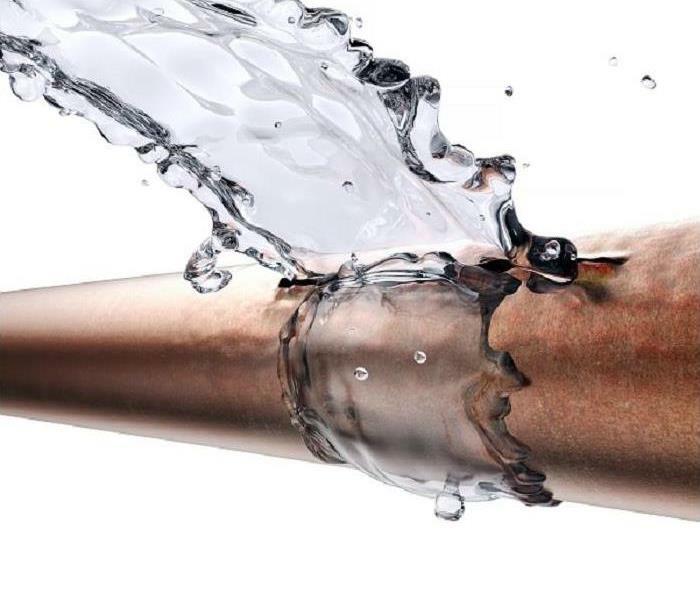 Water loss incidents can occur without warning from faulty fixtures and appliances to burst pipes in the plumbing network, and you have to respond quickly to the situation to get the right professional restoration team there and working to return the property to preloss condition. The first main concern about your need for water removal in your Boyle Heights pizzeria is the effect that it would have on your ability to continue serving customers. While this might pause your production, our SERVPRO team can respond quickly with the effective extraction equipment to get you back in business fast. When we first arrive at your building, we can quickly assess the situation and get our equipment set up to remove the standing water. Depending on the severity of the situation, we have many levels of extraction equipment. For substantial loss incidents, we utilize the extractor truck that arrived with our SERVPRO Green Fleet of service vehicles. This impressive machine can pull water from the affected areas of your pizzeria at 300psi, preparing the area quickly for efficient drying efforts to follow. 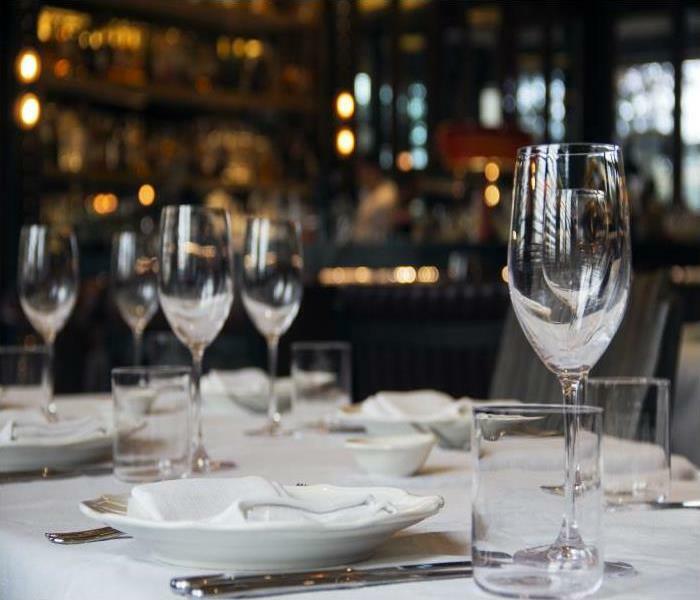 We understand that your electronics and electric appliances in the restaurant can become severely damaged by lingering moisture, so we get our drying equipment such as air movers, dehumidifiers, and specialized tools like our injectidry system and large drying mats installed quickly. With the right response to the situation, these drying efforts can restore the damage from the water loss incident without the need for demolition and reconstruction. From the time that you first call our SERVPRO of Silver Lake / Echo Park professionals, we prioritize getting the water cleaned up and getting your business back up and running. No matter the severity of the damage to your building, you can count on our technicians to get it back to the way it should be. Give us a call anytime at (213) 628-2000. Click here for more about Boyle Heights. When It Comes To Dealing With Odors After A Fire In Your Los Angeles Home, We Can Help! Finding the right professionals to help overcome fire effects in your Los Angeles home after a disaster can feel like an overwhelming task. While there might be many options that you can choose from, you want to make sure to focus your efforts on the team that can arrive quickly and who has the right tools and expertise to make a difference for your property. Our professionals have a 24 hour response time every day of the year and come equipped with industry-leading equipment designed to make restoration as efficient and effective as possible. While fire damage in your Los Angeles residence can appear in many ways, often one of the most challenging aspects to returning to normal life is a lingering and persistent harsh odor. With the widespread nature of this effect, traditional fragrance sprays and cleansers cannot remove the odor, but only mask it for a short time. Our SERVPRO technicians are IICRC-certified in fire restoration and recovery and arrive with equipment and tools that can neutralize foul scents from your property quickly. Among the most commonly used machines in our arsenal to overcome harsh odors throughout your home is our hydroxyl generators. These units get set up during mitigation work to begin filtering out dust, debris, smoke particulates, soot, and ash from the environment while debris removal and pack-outs are underway. The onboard HEPA filter can also help to noticeably reduce the presence of smoke odor throughout the affected areas. Ozone generators and chambers are two pieces of the same technology. The generators are mobile, meaning that we can bring them into your home while the chambers are an area of our facility designed to deodorize contents, furniture, and other affected items. These machines cannot get used around humans and pets, which can limit their use in specific scenarios. While there are many tools and machines instrumental in restoring your home after fire odors, there are a couple that gets used often to do this task efficiently. Whenever disaster strikes, you can always count on the equipment and expertise of our SERVPRO of Silver Lake / Echo Park technicians to make it “Like it never even happened.” Give us a call at (213) 628-2000. 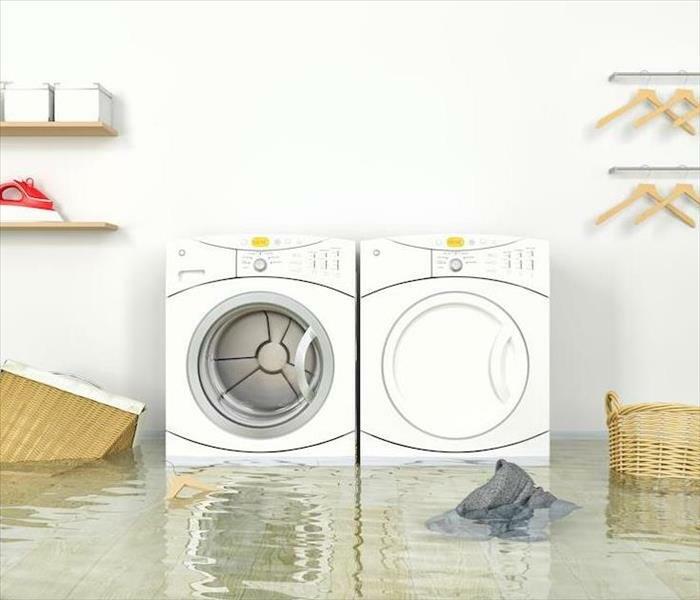 Whether flooding occurs from an outside situation or your house floods from an appliance malfunction, contact SERVPRO for effective water removal. Flash flooding can be devastating to your home or personal possessions. Not only do they live behind standing water, but they can also damage the structural integrity of your home. Water that comes from road overflows or heavy rainfall can drag debris along with it and into your home. Some of this debris may even be considered harmful, like animal carcasses or herbicides, sewage, and trash. A professional service can help you to clear away debris in line with EPA, federal and state laws. When you need flood removal in Los Angeles, you need two things. A local service, which can reduce call out times, and a professional with the right qualifications. SERVPRO uses technicians local to the area who have experience in dealing with the type of damages you face. We also train our technicians and encourage them to gain IICRC certificates for home restoration services including applied structural drying for property owners suffering from flood water in the home. An aggressive case of water damage can result in areas of the home being damaged. Windows, for example, can be cracked or broken. At SERVPRO, our rapid response team runs an emergency board service using tarpaulin or wood panels to ensure your home is patched up immediately. Taking a step like this can be invaluable in mitigating against further damages that could occur from exposure. Debris left behind can often be toxic or contain harmful pathogens. Any debris that is left behind they could be dangerous to your health. SERVPRO can mobilize the proper equipment to remove these issues safely. That could include, a hazmat suit alongside high pressure jet washing systems to blast away damages and debris. We are capable of both removing the primary and secondary damages associated with flooding in the home. We also have truck-mounted water extractors, submersible gas pumps and rapid air movers to help dry your property and prevent the risk of mold or mildew buildup. For a comprehensive solution, contact SERVPRO of Silver Lake / Echo Park at (213) 628-2000 today. 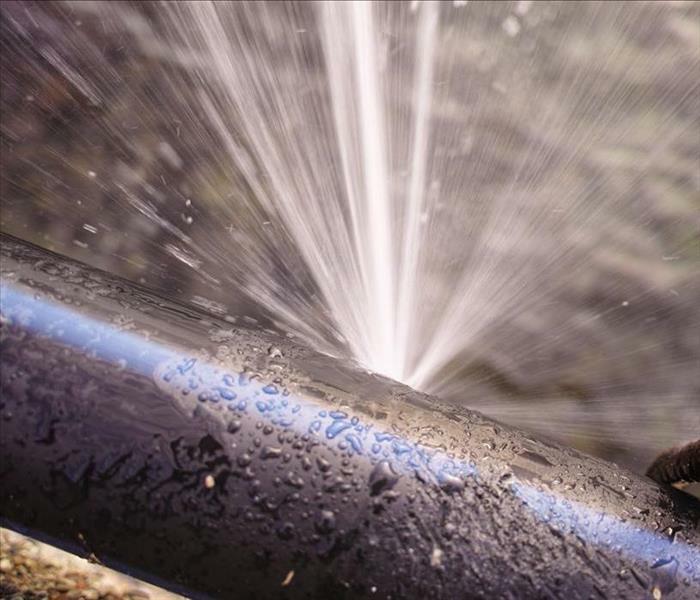 When your bathroom or kitchen in your Los Angeles-area house sustains a broken pipe, that small break can put hundreds of gallons of water into your home. You need a company who is not only Faster To Any Size Disaster, but who also knows how to get every trace of the crisis back under control. Protecting your home in Los Angeles means water extraction in a situation like this, including water vapor that can lead to damage weeks or months later, unless removed. SERVPRO technicians, working in teams, remove liquid water wetting your floors, and water vapor from the air. We also use techniques that extract water from the materials in your home, like walls, floors, and where possible, carpeting. Other furnishings, like nearby furniture and personal belongings, can also become saturated when a pipe breaks. When this happens upstairs, anything in the vicinity over the leak downstairs can also become ruined if left as it is and not given the required attention. We use infrared imaging cameras that reveal where water has traveled via gravity and building materials. We can trace it to enclosed areas, also, and get trapped water released and then extracted. Our specialists use methods recommended by the IICRC that restore dry conditions quickly and thoroughly. Allowing damp areas to remain can lead to problems with microbial growth, deterioration of materials, and uncomfortable breathing conditions. While some moisture in the air does make a home's environment more hospitable, too much can have the opposite effect. 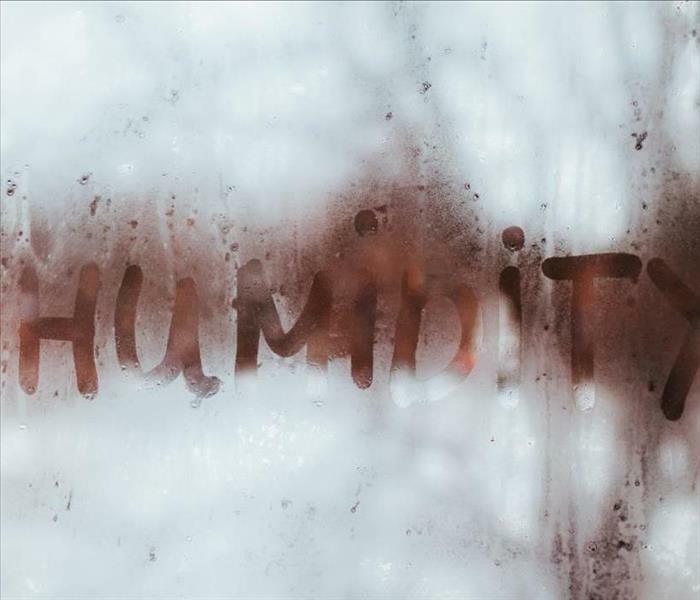 Our moisture meters help us determine when we have achieved optimal conditions in regards to humidity and keeps us from over-drying your home. Our drying goal is typically 35-60% depending on the interior and exterior conditions. When a pipe snaps and spews water into your home's living area, or a sink overflows, SERVPRO technicians take the time to answer your questions while still working as quickly as possible. Making sure you get the answers to your questions means you understand the work we carry out inside your home, helping you feel more in control of the situation from start to finish. Your satisfaction is crucial to us, so please never hesitate to ask us about the work we do or the equipment we use. We strive to make you feel "Like it never even happened." SERVPRO of Silver Lake / Echo Park is always here, 24/7, year-round, to help ensure your home stays protected from spills, overflows, and broken water lines. If your Elysian Park, Chinatown, or Angelino Heights property sustains one of these situations, call us at (213) 628-2000. When you see visible signs of or smell mold in your home, contact team SERVPRO to investigate and then remediate the damage. Mold is a kind of fungus which can grow in your Los Angeles home from spores. It is essential for the breaking down of animal and plant matter outside. Inside, it can commonly be found growing in bathrooms and showers, crawl spaces, basements, attics, and laundry rooms. Active mold growth is fuzzy or slimy and generally is black, green, purple, or orange. Mold which is inactive is usually white and dry and powdery. When you suspect mold and mold damage in your Los Angeles home, you should contact our professionals at SERVPRO. We have the experience and training needed to clean your home from a mold infestation so that it does not keep spreading to clean areas of your home. Since mold can cause health effects and grows quickly, it is essential to let us know of the issue as soon as you find it. Once we assess the damage, we need to contain the mold contamination to make sure it won’t spread to any areas of your home that are uncontaminated. We are careful not to introduce airflow to mold spores which haven’t been contained, so we avoid spreading the contamination to clean areas. SERVPRO technicians install plastic sheeting for containment barriers and establish negative air pressure in the affected area. We also seal HVAC vents to stop the duct system from being contaminated. The method of cleaning up the mold depends on the surface it is on. Non-porous materials can usually be cleaned, but porous materials many times must be removed and discarded. Porous materials which are extensively contaminated are removed. The active mold growth on materials like drywall, fabrics, insulation, and carpeting is removed by getting rid of the actual material. Non-porous materials like metals, glass, and plastics can be HEPA vacuumed if the surface is dry or we damp wipe them using a detergent solution. If mold has been present for a long time, wood with mold growth might have to be removed if the structural integrity has been weakened by rot. SERVPRO of Silver Lake/Echo Park can clean your home in Elysian Park, Echo Park, or Boyle Heights when you find mold and mold damage. It is essential that you call us at (213) 628-2000 as soon as you recognize there is an issue, as the mold continues to grow and cause more damage until we get it cleaned up. 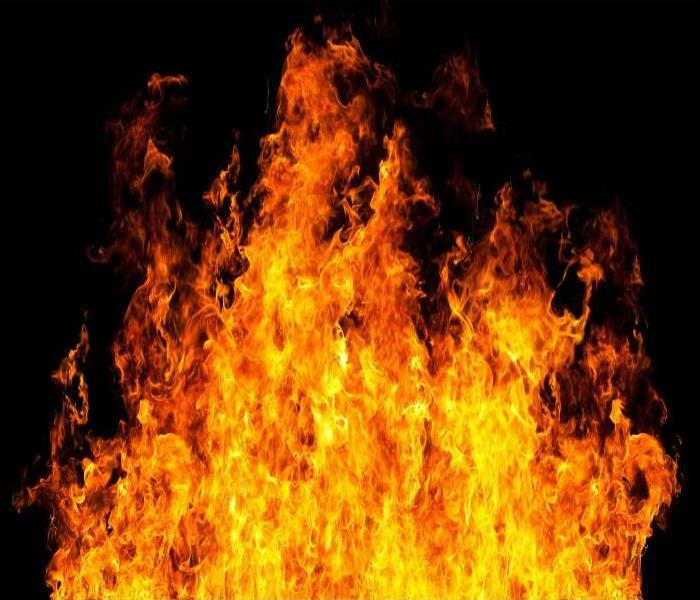 3/12/2019 - When It Comes To Dealing With Odors After A Fire In Your Los Angeles Home, We Can Help!